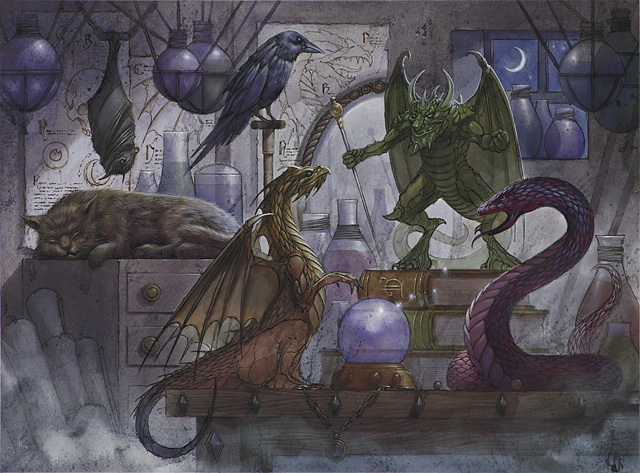 In this episode, Wayne and Joe talk about the Find Familiar spell in 5th edition and what it can do for a resourceful wizard. In this episode we are doing an audio segment fro a blog written by our Dungeon Crate contributor Kevin Coffey all about dealing with cheaters at the table. It's that time of year and we are talking celebrations in your fantasy games. Joe is here with another "Joe on the Go" and he chats about how to incorporate celebrations and traditions into your campaign. In this episode Joe and Wayne discuss the Charisma Stat. What exactly is charisma? How can you best use it in game? Charisma is more than just looks, it can dictate how you are perceived by NPCs, other characters, and how you influence people. What do you do with characters that have either very low, or very high charisma? 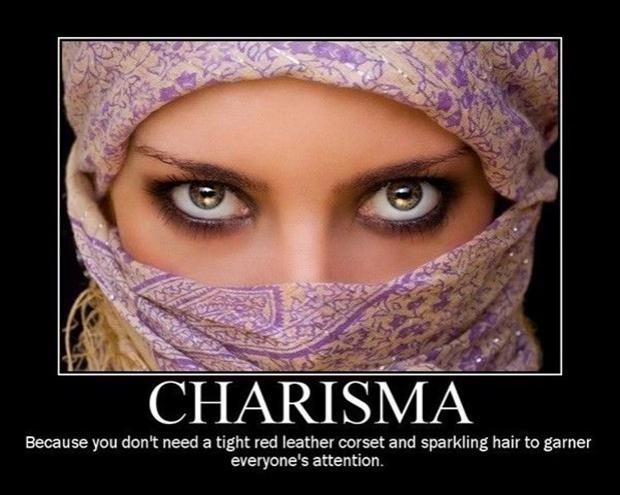 Charisma is an integral part of a character and should be seen as more than just a "dump stat." Find out why in this episode. In this episode adventure writer Kevin Coffey joins in the conversation to talk about character sheets. Fresh in the middle of his own Kickstarter which features a character booklet, Kevin is creating a fun way to keep track of your adventurers. 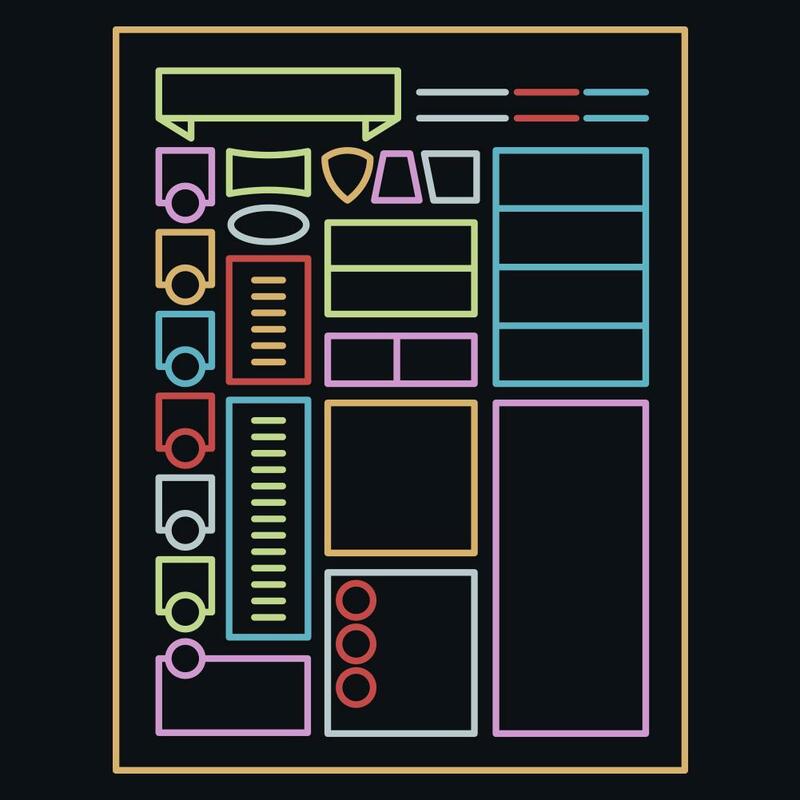 We also talk about the evolution of the character sheet, pros, cons, and paper vs digital. In this episode Wayne and Joe talk about the pros and cons of playable monster races in 5e. Referencing Volo's Guide and other resources, Joe tries to convince Wayne (who is pretty old school) that monster races can help in roleplaying, story inspiration, and fun! Character Backgrounds! In this episode I am joined by my friend and Dungeon Master Joseph Darragh and we talk about the importance of a character backstory and how it can help both player and GM in roleplaying. We offer tips on story creation as well as a couple fun backstories you can use in your own campaign. In this episode I chat with Miya Sohoza from Rare Elements Foundry. 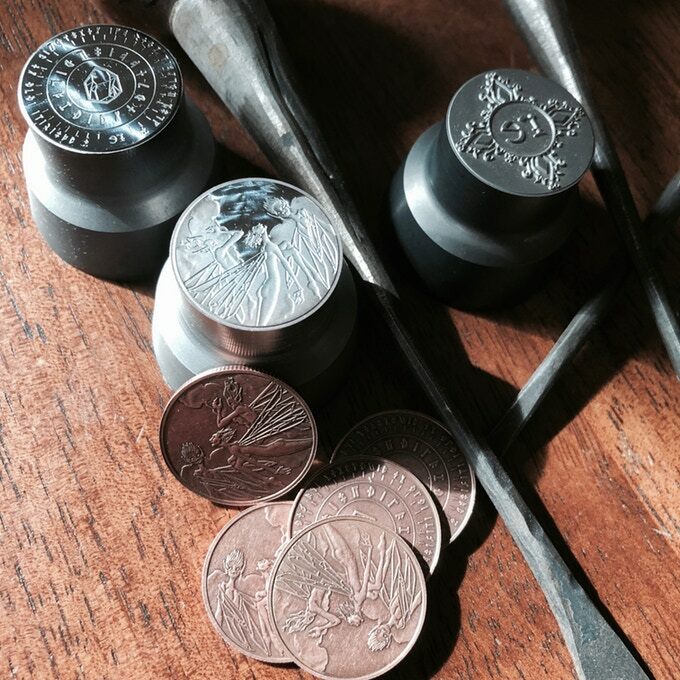 They have launched their Kickstarter campaign and are back in action producing some of the most amazing fantasy coins on the market. Original art, hefty weights, and some serious lore. Check out the links for more fantastic artwork and details on how you can support this creative team. In this episode we have an interview with Dan Naylor, one of the organizers of SaltCon 2018. This is their 10-year anniversary and things are ramping up for a great weekend of games. In this episode, I am joined by my son Alex who has always loved playing a dwarf. 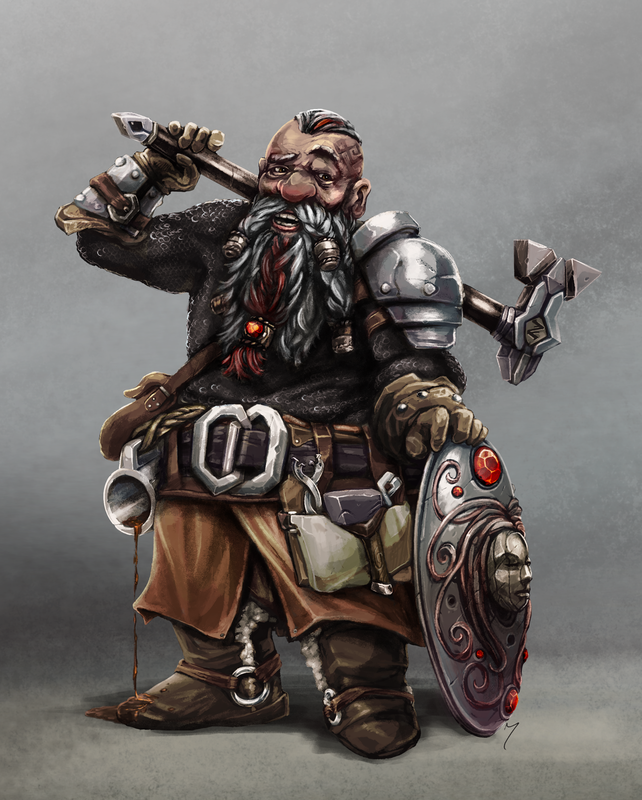 We talk about dwarves in previous editions, in film, and chat on names and personalities. While at HawaiiCon, I was on a game designer's panel with this guy. Had no idea who he was at first. Then he ended up being my favorite guest at the con. I was very happy I had my old school books on hand. 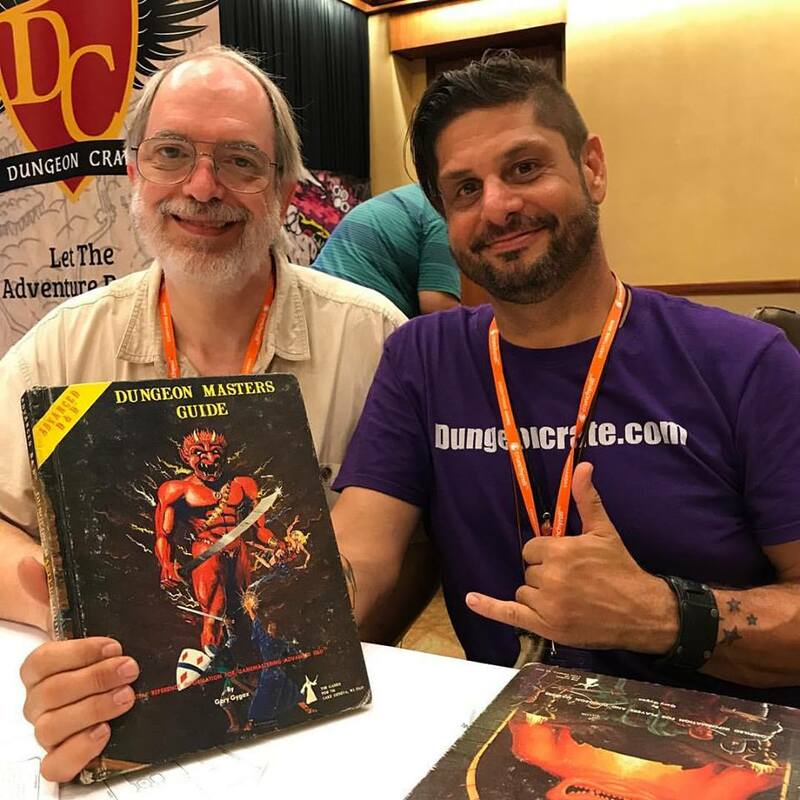 In this episode I chat up Allen and get some great stories of the early days of Dungeons and Dragons. 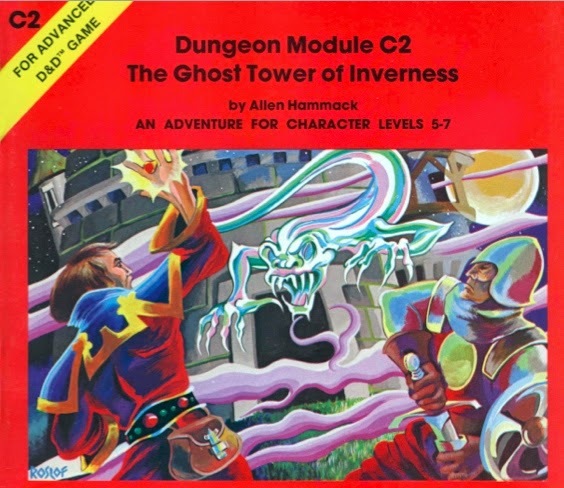 Allen Hammack has contributed to some 70 products as author, designer, editor, or developer. Hired by Gary Gygax in 1978, Allen was Manager of Designers during the “Golden Era” of TSR. He writes often on using myths and legends of the world in gaming: three books on the subject, the Viking Gods boardgame, and was co-editor of Dungeon Masters Guide and Deities & Demigods during the five years he served at TSR. In this episode, Wayne and Joe talk about the Rogue class in 5e. Interesting builds, backstories, archetypes, and skills are all covered. 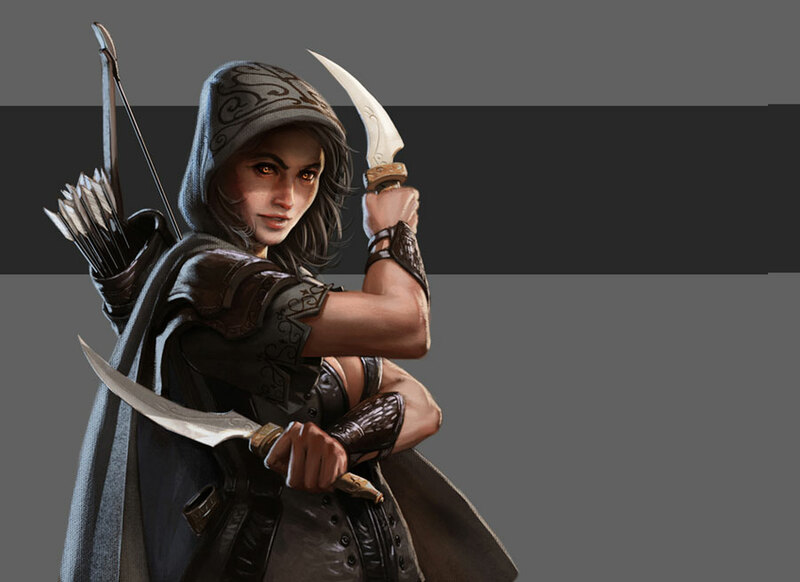 They also discuss the changes in the Rogue class since Advanced Dungeons and Dragons and what some of the advantages and disadvantages are of the way the class is currently presented. In this short episode I talk with GB, the organizer of HawaiiCon 2017. We will be attending this con and Dungeon Crate will be sponsoring the game room. Find out more about this deluxe convention and check out the site for more info. Versatile, talented, and charismatic, Bards weave magic with music and storytelling. 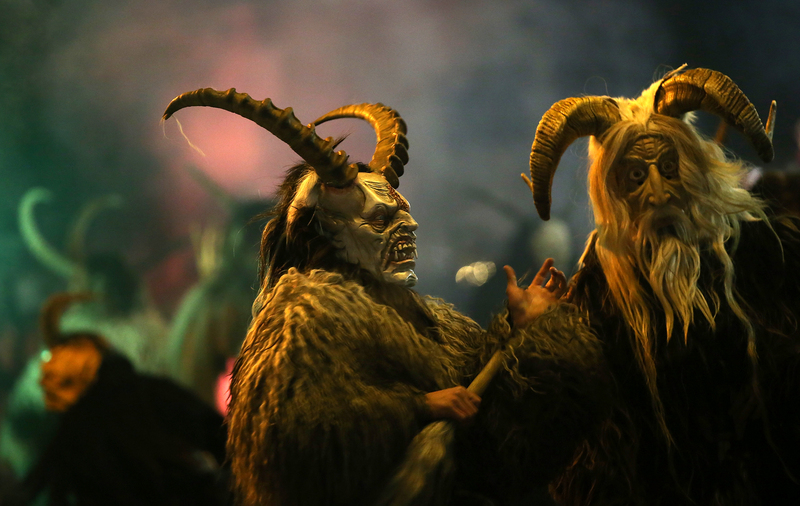 They are information gatherers and through their storytelling, pass on tales of legends and myth. In an adventuring party, they offer inspiration, a quick blade, and sometimes just the right amount of diplomacy. In this episode, Josh and Wayne discuss the Bard class and talk about the various ways one can build and play a Bard character. 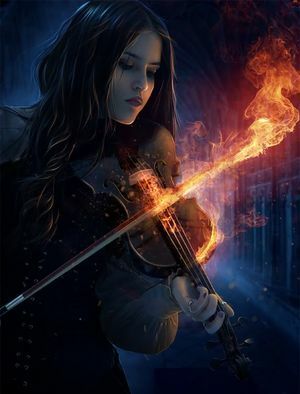 They also discuss various Bards in literature as well as various tactics, personas, and instruments a Bard can take on. In this episode Ted Adams from the Nerdarchy crew joins me and we chat about Fan 2 Sea, Charisma, 5th edition, and Dungeon Master styles. Check out the links below to find out more about their awesome YouTube channel and all the cool stuff they do for gaming. Fan 2 Sea Pop Culture Cruise! We're back! 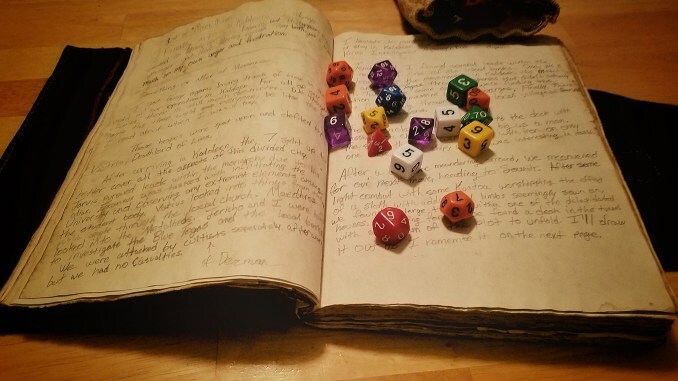 In this episode my co-host DM Michael joins me and we talk about interactions between Dungeon Masters and players, the pros and cons of tabletop accessories, Dungeon Master styles, and exploring how to facilitate an in depth game that engages players and spurs creativity. In this episode I welcome Scotty McFarland, AKA DM Scotty from the DM's Craft. Scotty has developed a massive following on youtube and facebook with his series of crafting videos dedicated to making amazing terrain, dungeon tiles, and more with commonly found materials. His efforts have inspired thousands as they follow his tutorials and delve into the fantasy crafting world. I was lucky enough to run into him at last year's GenCon and now am happy to offer up this great interview with a man that has also personally inspired me to have one of my most artistically prolific years. His group page on facebook features thousands of followers dedicated to crafting. It's a group that is supportive, creative, and inspiring. His youtube channel and Patreon page have blown up and after years of creating and after hundreds of videos, DM Scotty is a bonafide internet celebrity in the crafting and gaming world. In this episode I talk to Chris Haskins and Ralph Stickley from Nord Games. We chat about their company Nord Games and some of the products they will be launching in 2016. Both are avid players and developers and we talk about their Ultimate NPCs - Skullduggery project, kickstarter, and other game accessories we love. We also talk about their involvement in our Dungeon Crate Subscription Box Service. In this episode, I talk about a little thing called Dungeon Club. 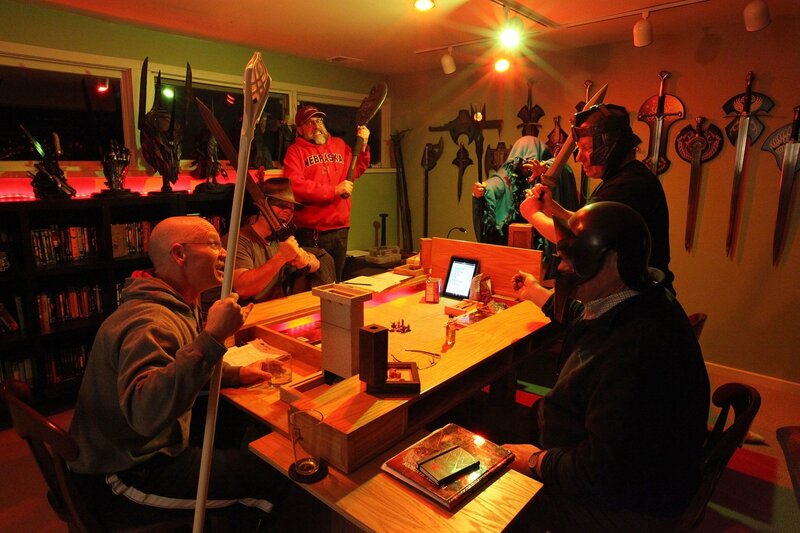 When folks can't commit to an ongoing campaign, how do you get to enjoy your favorite hobby? Dungeon Club is simply a hosted one-off game session with no campaign and pre-generated characters. I provide everything a player needs, add some ambiance, snacks, and some sweet tabletop accessories for a game day to remember. The first segment I talk about a new adventure in business I'm taking. Dungeon Crate is a subscription box service for RPG and TT gamers. Dungeon Crate offers a box of gaming goodies every month and we're just in the beginning stages. In this episode Wayne, Pfloyd, and Kevin get together via a Google Hangout On Air and talk about how to make treasure more valuable to players. Character finances, what to do with wealth, what DMs can do to get adventurers to spend cash, problems with coin exchange, transporting loot, encumbrance, large purchases as a group, small fees, lodging, weapon and armor upgrades, and more are discussed. Don't forget to subscribe to DnD5eTV as well as Worlds of Waynecraft on Youtube. Leave us a comment on our iTunes page or hit us up on social media via Twitter or Facebook. In this episode we hit the road on a 9 hour quest to Gen Con 2015 in Indianapolis. Wayne, Brad, Ken, and Chris, along with their two young lads Simon and Liam take on the biggest gaming convention in the US. It was glorious. We record as we go in the car, at the hotel, and on the convention floor. Listen in and follow along on our Gen Con adventure! In this episode Wayne welcomes guest panelists Brad and Josh for a lively discussion on the Fighter class in 5th Edition. In this episode DM Wayne skypes in DM Floyd for a discussion on converting your existing game to 5th Edition Dungeons and Dragons. Floyd is a long time player and currently is converting an existing 4th edition game on Roll20 to 5th edition. Wayne converted his 2nd edition game to 5th edition and the two discuss some of the things to consider when converting a character as well as convertsion of an entire campaign. Changing levels, adjusting encounters, exploiting new abilities, they cover it all. In this episode Wayne, Josh, and Katie offer a basic overview of some standard gaming accessories. They talk about what they like about game enhancements like battle mats, miniatures, props, music, game terrain, custom tables, visuals, and more. Voice Changer Plus - A voice changing app for recording narration with fun effects. This is a very basic overview mainly intended for new players. We would love to know what you use for game enhancements! Send us your messages or post pictures on our facebook fanpage. Music by Purple Planet - Free downloadable music for podcasts. Check it out. Wayne, Chuck, and Josh sit down at the Wayward Lobster and talk about the Elf race in Dungeons and Dragons 5th edition. They talk about the Tolkien inspiration of the elf and how it has evolved over past versions of the game. Paths, powers, race features, and subclasses are all discussed as well as some of their favorite classes to play as elves and some types of characters a good elf makes. New show intro and other background music thanks to Purple Planet!